In a letter to the United Nations Tuesday, the United States defended its use of airstrikes in Syria -- saying the maneuver was designed to eliminate safe havens used by Islamic State militants, Reuters reports. "The Syrian regime has shown that it cannot and will not confront these safe havens effectively itself," U.S. 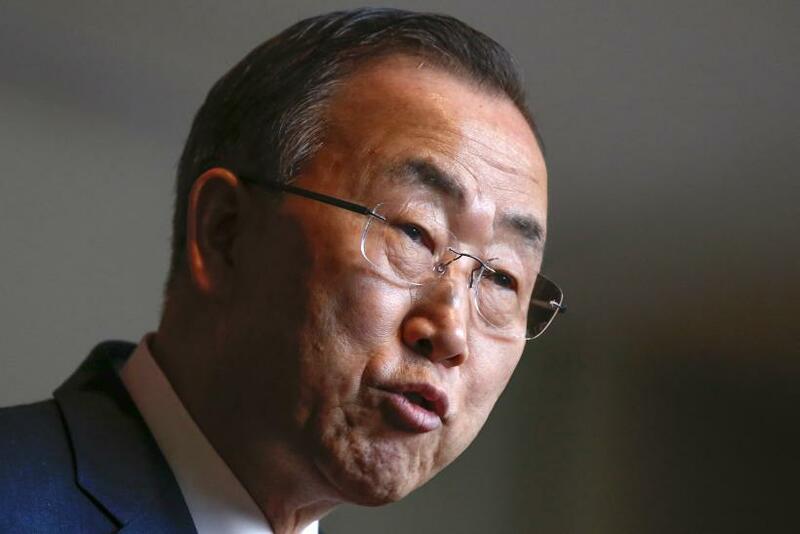 Ambassador to the United Nations Samantha Power wrote in a letter to U.N. Secretary-General Ban Ki-moon. In the letter, obtained by Reuters, Power cited Article 51 of the U.N. Charter, which describes the right to “individual or collective self-defense if an armed attack occurs against a member of the United Nations.” The same article also states the U.N. Security Council must be advised when a member nation undertakes a self-defense armed attack. The letter, which Ban shared with the 15-member body, described how the United States “initiated necessary and proportionate military actions in Syria” to eliminate the threat posed by Islamic State militants. The United States and Arab allies Tuesday initiated airstrikes in Syria, killing dozens of Islamic State fighters and members of the Khorasan group. The strikes stem President Barack Obama's pledge Sept. 10 to"degrade and destroy" Islamic State, also known as ISIS or ISIL, militants, who have seized large areas of Syria and Iraq. The U.N. Security Council has previously shown support for military action. When Secretary of State John Kerry convened a meeting with the council Friday, Power told ABC's "This Week" the discussion "showcased just how much support there is on the Security Council and in the broader international community for the anti-ISIL effort." In a press conference Tuesday, Ban reinforced the notion Islamic State militants pose a threat to the peace and security of the Syrian people. "I'm aware that today's strikes were not carried out at the direct request of the Syrian government but I note that the government was informed beforehand," he said. Syria's U.N. Ambassador Bashar Ja'afari echoed this statement when he told Reuters Power informed him Monday in person of the imminent attack. "I also note that the strikes took place in areas no longer under the effective control of that government," Ban said. "It is undeniable and the subject of broad international consensus that these extremist groups pose an immediate threat to international peace and security."